Pain of Salvation's sophomore effort takes a more concise vision musically than its predecessor, the magnificent Entropia. 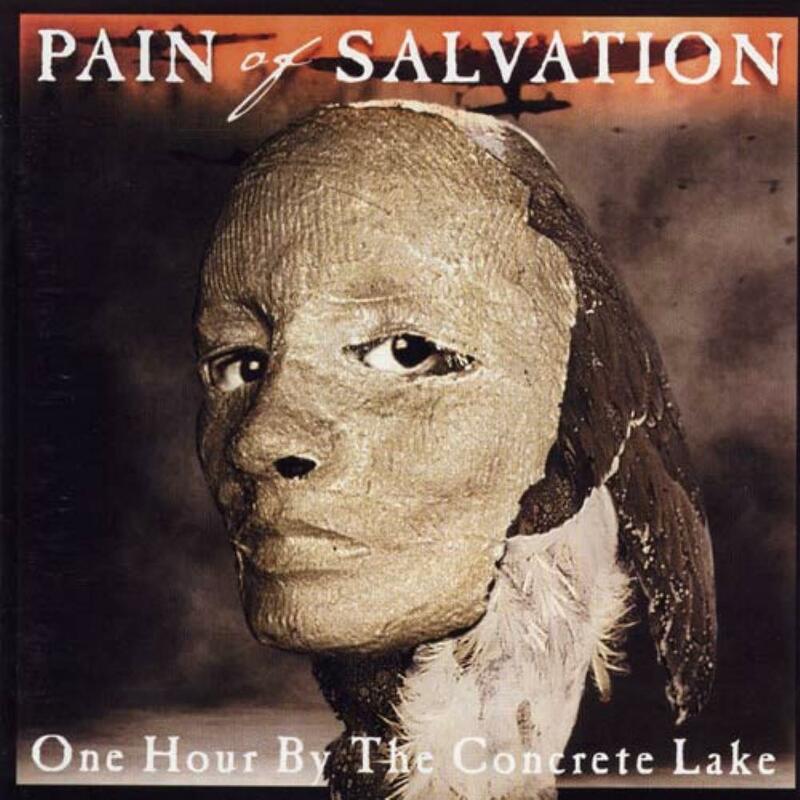 One Hour by the Concrete Lake, while not as mindblowing or diverse as Entropia, is still an excellent album that more than proved that Pain of Salvation wasn't just a fluke and they could consistently write brilliant material. Daniel Gildenlow goes for a more universal message on this album, with the underlying theme in all the pieces being examples of the degradation of the environment and overall he takes a more humane edge on this album than he did on Entropia and to certain extents over their next series of albums. One thing is certain, though, from listening to this album, and that is Pain of Salvation is not a band to take lightly and not a band that strives for uplifting pieces. Beginning ominously with the lush synthesizers of the instrumental Spirit of the Land, the piece segues into Inside, and one of the main musical themes of the album is the focal point of this piece. From the get go, the intertwining piano and guitar/drum interplay gives a general idea of what style Pain of Salvation is going for on this album. You'll also hear a lot more keyboards than on the previous album almost immediately, which is always a plus and they help create a certain atmosphere. Vocally, Gildenlow doesn't hold back and he really lets everything out from earthly more raspy vocals to passionate falsetto vocals. The Big Machine shows the more hymnal vocal styles whilst being juxtaposed over an exceedingly brooding and heavy riff. It goes right into New Year's Eve, beginning much like Circles on Entropia did with a dark bass riff before the other instruments come into the foray. The delicate guitar arpeggios combined with the light electric piano and the bass riff gives an uneasy atmosphere complimented brilliantly by the overall melodic and yet chaotic mood of the piece. Handful of Nothing begins with some incredible syncopation right below a melodic solo motif. The oddly sounding acoustic arpeggio that brings in the chorus is probably one of my favorite moments on the album. Water segues right from Handful of Nothing with a crushingly heavy guitar riff, followed by the intense percussion before mellowing out and becoming a lighter, more clean based piece. Delicate mixed vocals also provide a theme for the track. Home begins with heavily syncopated rhythmic interplay as the piano and guitars noodle around before coming to a concise conclusion creating a powerful opening section. The uneasy clean guitar arpeggios in 7/8 also create a tense atmosphere further enhanced by the light and floating keyboards. It ends with a well conceived piano motif and an emotive guitar solo. Black Hills has a relentlessly dreary feel to it (like essentially all of this album), especially with the modulated vocals in the beginning and the teetering guitars that while are subdued let loose and create a tense environment before the strong chorus. Pilgrim is the "ballad" of the album, comprised of acoustic guitars, violins, and delicate arrangements. It's also where Gildenlow really fires on all cylinders as a vocalist, offering an emotive and passionate vocal performance. Shore Serenity is a short piece before the ending of the album. Musically, it contains intertwining guitar riffs and piano fills with ominous vocals on top. Inside Out is the concluding piece of the album, picking up where Inside left off. The main motif of Inside is repeated here and the power of all the elements of this track really help it have a complete and whole feel. Gildenlow really shines here with a spectacular vocal performance here. There's a nice clean guitar solo in the middle of the piece that offers a nice counterpoint to the onslaught of heavy riffing. The piece ends with a relentlessly heavy riff and unison guitars soloing the main vocal line into a fadeout. In the end, One Hour by the Concrete Lake, while not as brilliant as Entropia, certainly is an experience that is hard to surpass. The relentlessly heavy atmosphere is a plus but my main complaint with the album (and it's not even a big complaint at all because this album is excellent the way it is) is that it lacks the diversity that Entropia had and that their later albums would have. Still, despite that, I highly recommend a purchase/listen of One Hour by the Concrete Lake. 4.5/5.